Been quite a while since I was on OCN (2 years since last login) and even longer since I posted a worthy build, so we'll just call this Resurrection as a reference/joke with my username, haha. 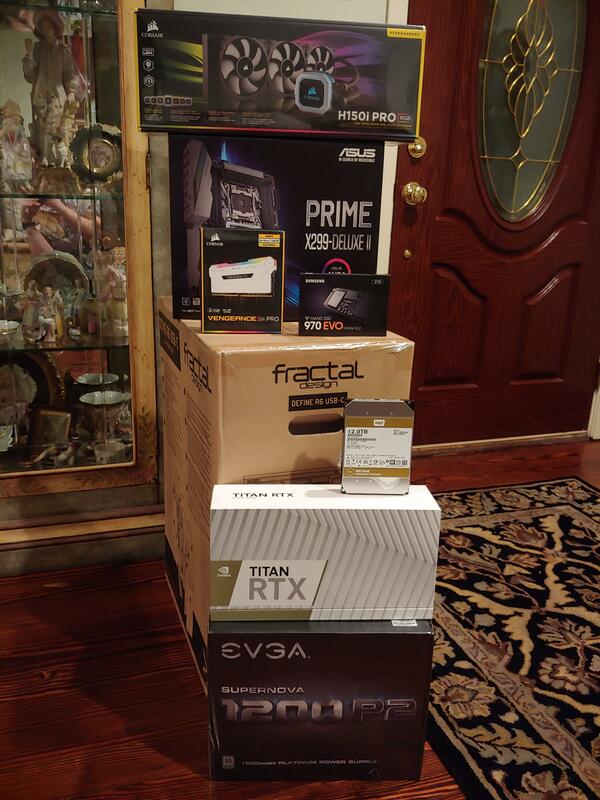 Anyways, buddy is getting ready to start doing 4K and 8K video editing/rendering, so he needed some serious horsepower, he sent me a list of the hardware he wanted and now we're getting it rolling. 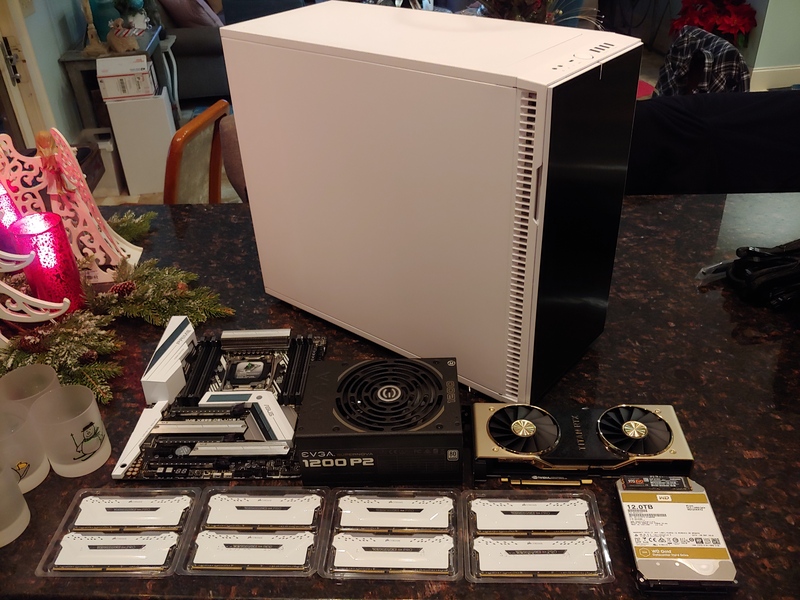 Not too many 9980XE/Titan RTX builds out there (I actually think this might be the first publicly posted), so I was super excited to handle this stuff. 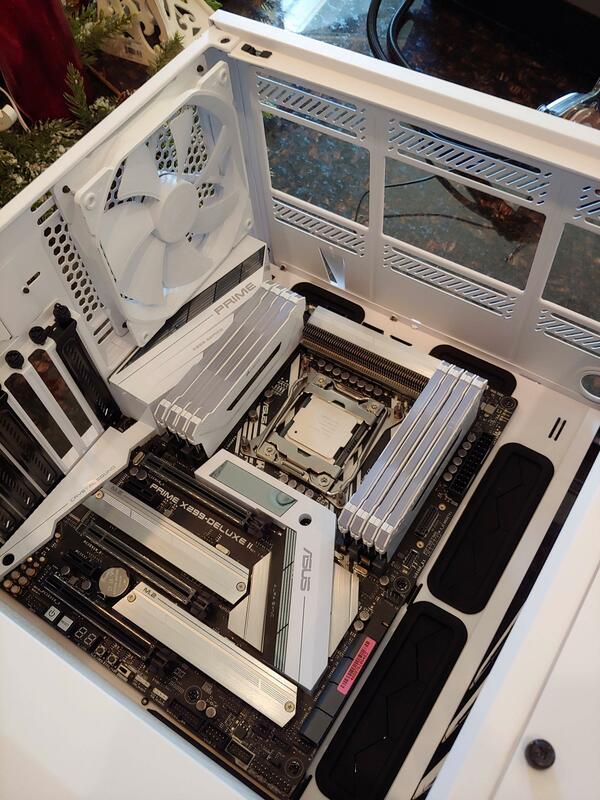 I thought to myself "this part costs more than my entire build" as I opened almost every box in here, haha. 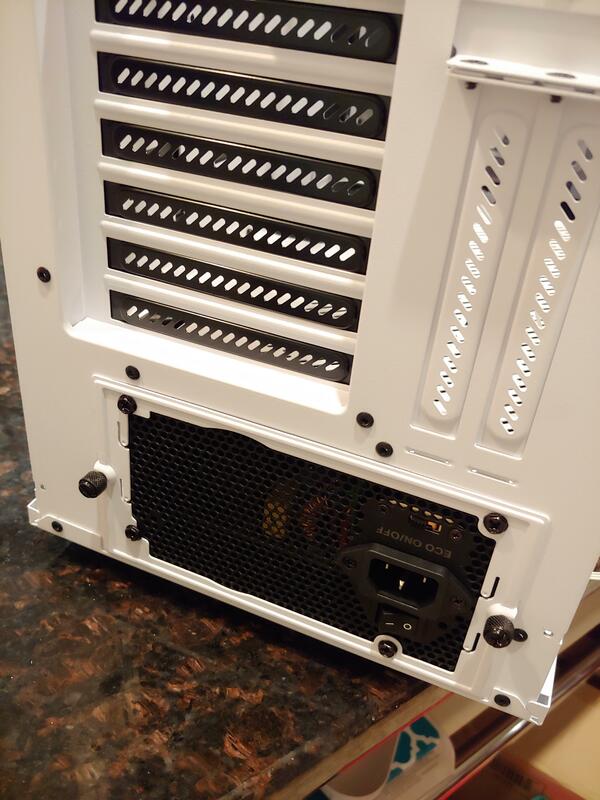 PSU installed, love Fractal's install method for this. 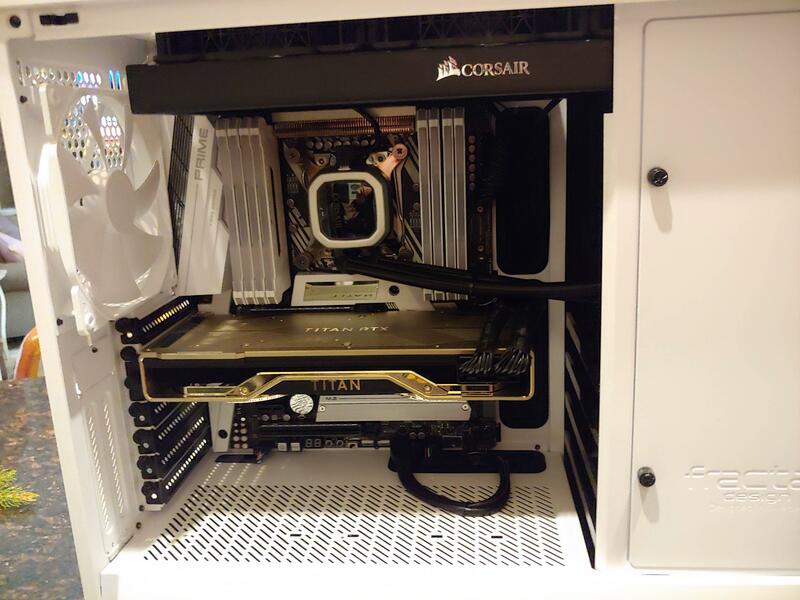 This is a pretty nice Corsair AIO. 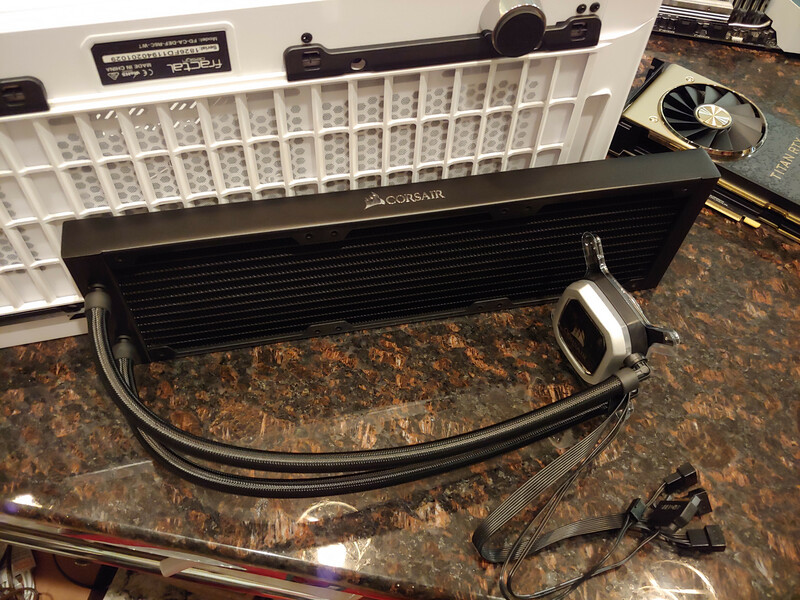 It'll be mounted up top with the 3x 120MM fans it came with. 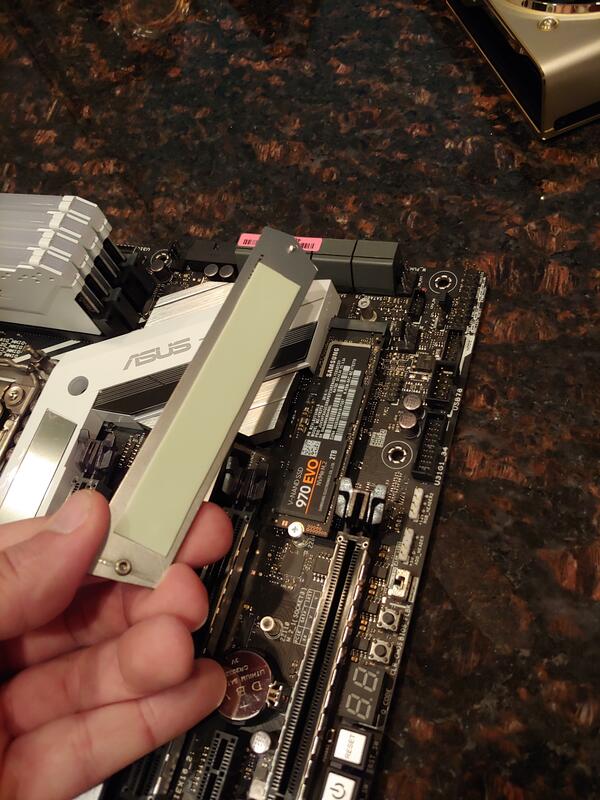 970 Evo going in the M.2_Socket1 space, I appreciate Asus includes a thermal pad to conduct to the heatsink for these SSDs. Another solid Fractal install method for the HDD (the rubber bumpers to keep noise and vibration to a minimum), I'm sure this is somewhat common nowadays. Just covering the serial number. Nice part about WD Gold is that it's technically an enterprise product so you get the elevated support/warranty department compared to Red Pro! 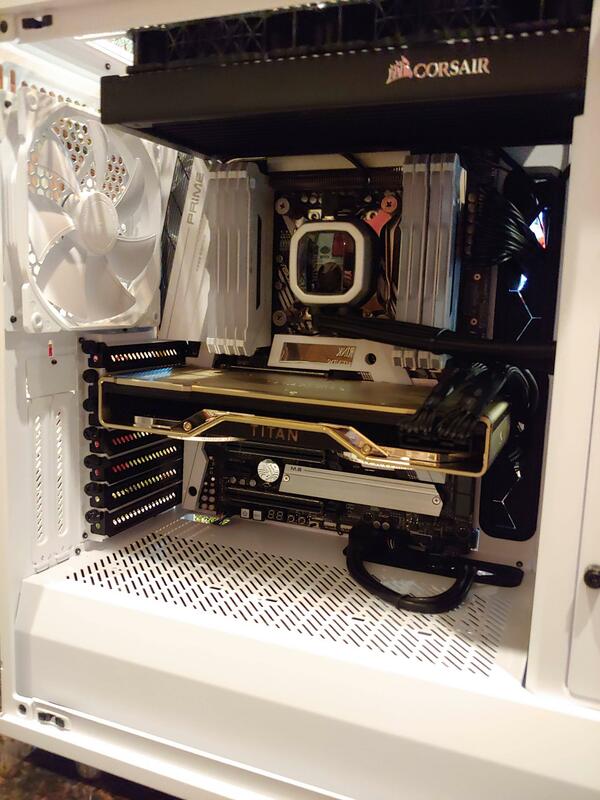 That's about it for now, I'll be taking some more pics when the CPU gets here and I can actually put it together! If you respond to one of my posts in a very busy thread, I probably won't see it, so feel free to message me. Last edited by TheJesus; 12-21-2018 at 11:33 PM. More seriously, I suppose that 8K footage takes a huuuuge amount of space, much more than the 2TB SSD... Or even the 12 TB drive that may be a bit slow even ? Yes, it definitely does in raw form. It's typically about 2GB per second of footage. So an hour of RED 8K Raw is about 7TB. The SSD is going to be able to handle most chunks of footage he works with and the gold drive will hold the rendered output that's been compressed until it's offloaded to a NAS (10Gbps Ethernet port will be helpful for that) or external SSD. When the 8K point comes, we'll likely expand the storage array a bit (case has physical space for 10x 3.5" drives), but for his current 4K needs it should be excellent. Really well! 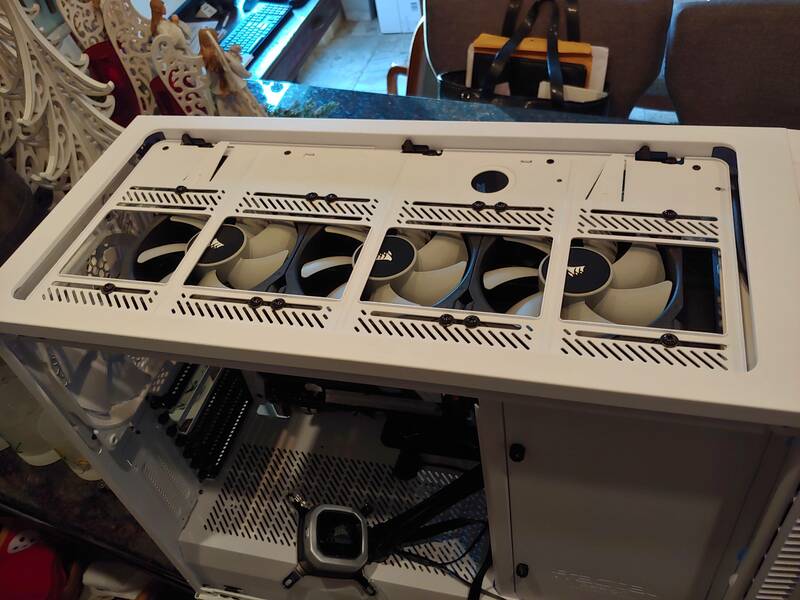 Seeing around 70&#176;C at 4.4GHz all cores at 100% stress test for two hours and the fans set to "Extreme" (I believe about 1200RPM, not very loud really). 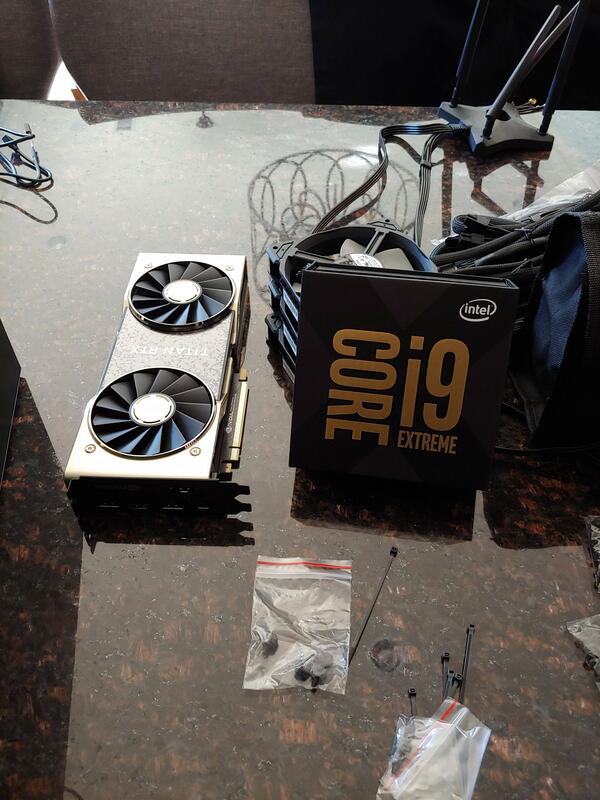 Saw about 80-85&#176;C with the fans set to "Standard" (nearly silent). I'm pleased for 36 threads at 4.4GHz running stable at those temps. Forgot to post the rest of the pics and final status! Quick note, I discovered very quickly that the stress test I was using on the CPU was not a true stresser. 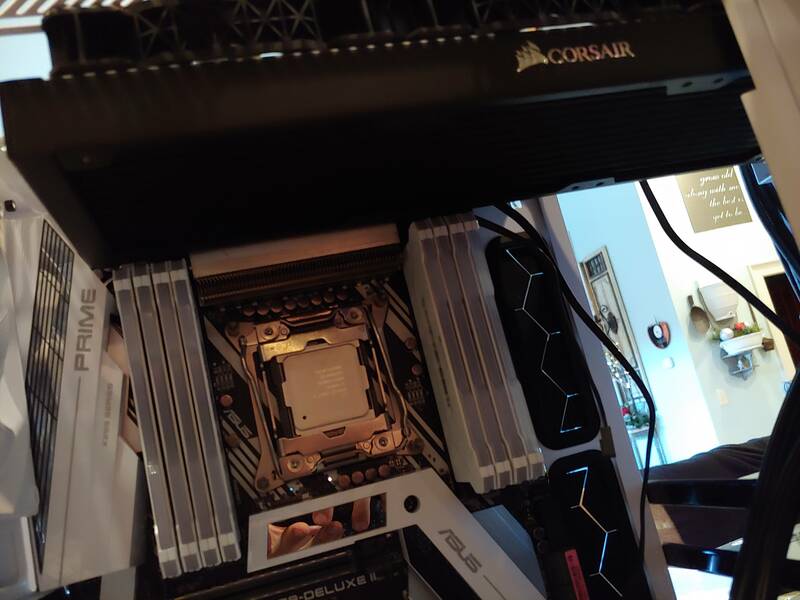 Using the Prime95 Small FFTs was spiking temps to 110C+ before thermal throttle backed it down (I saw this in Autodesk Fusion360 rendering first), but on the other tests was totally fine at 60-70C on Blend and 80-85C on In-Place FTTs. So changed from 4.6GHz all cores to 4.4GHz with AVX offsets at -4 (4.0GHz), fixed it quite well. Dropped the full Small FFTs load from the 110C+ to 85C and the other tests to 55-65C max. 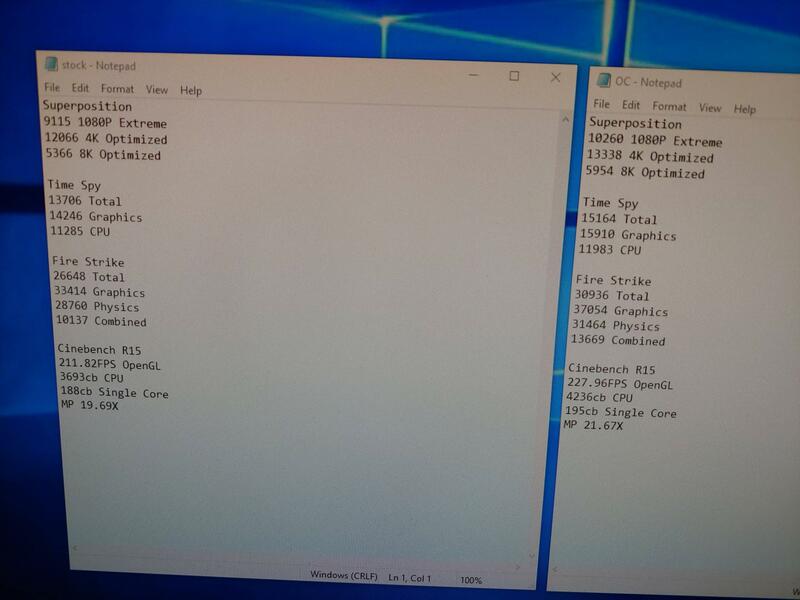 Also gets to see 4.0GHz all cores instead of stock 3.8GHz. 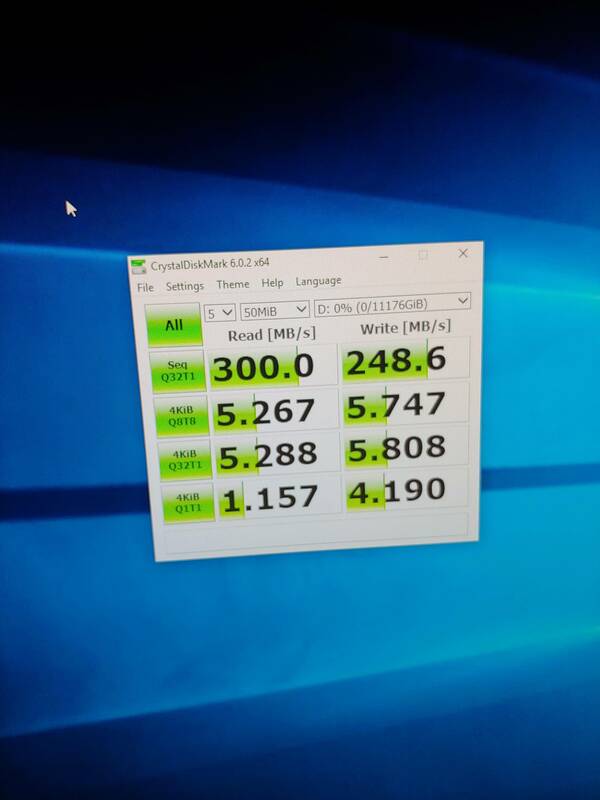 It just was too much heat at anything above 4.2, but even then was a little too much heat for the render times this will be doing so 4.0 all cores was decided and 4.4 in normal uses. Moving on! 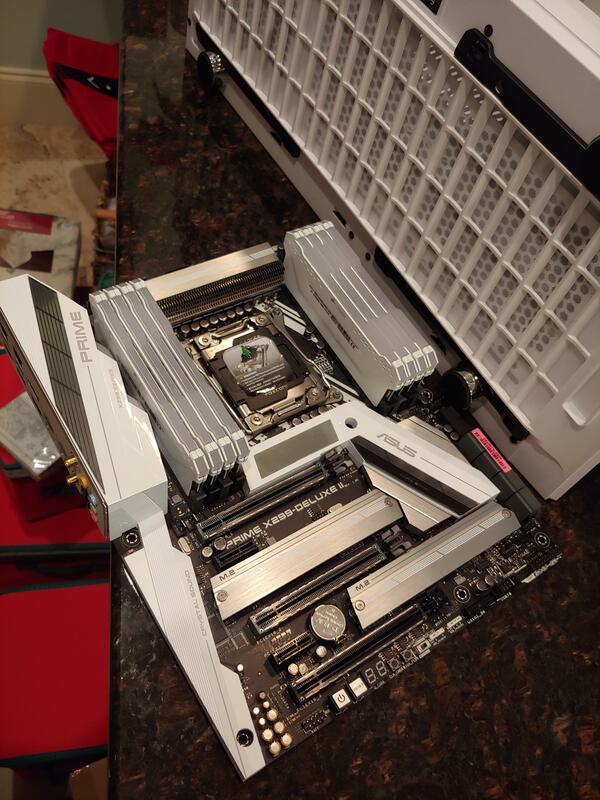 Board mounted with alllll the RAM. A bit of a tight fit, but I've had way worse, haha. 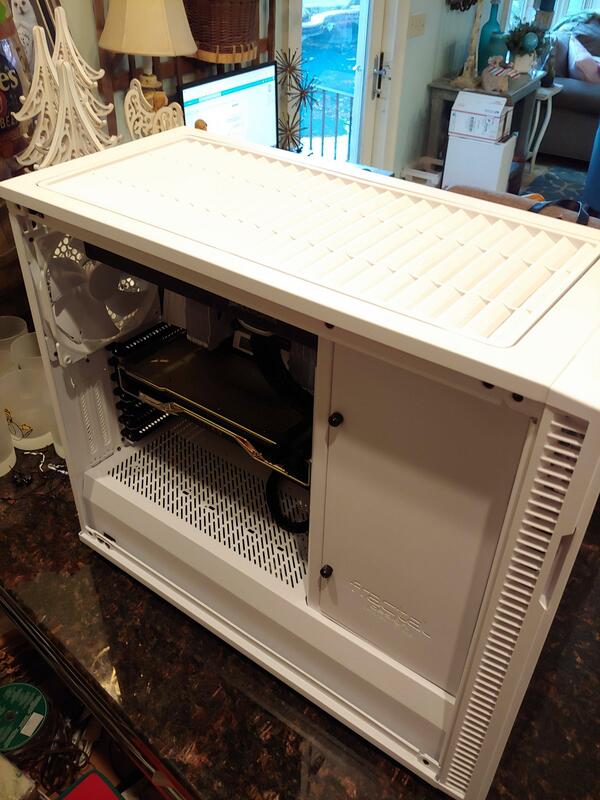 The rad touches both the front (the 5.25" bay has small metal brackets on it that were kind of in the way) and the motherboard's rear I/O cover (the large triangle with PRIME on it), but with a little wiggling, it fits perfectly. 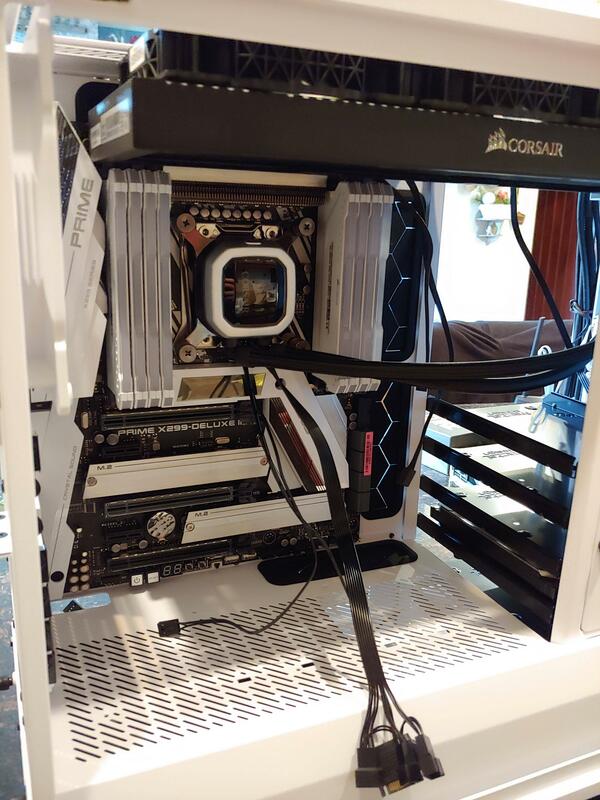 You may ask why I mounted the Corsair angle at 90*, but having it correctly oriented resulted in a bit of strain on the tubing that I didn't like much (and this doesn't have a side window, so won't be seen). Another angle you can see the rad touching the rear I/O cover. 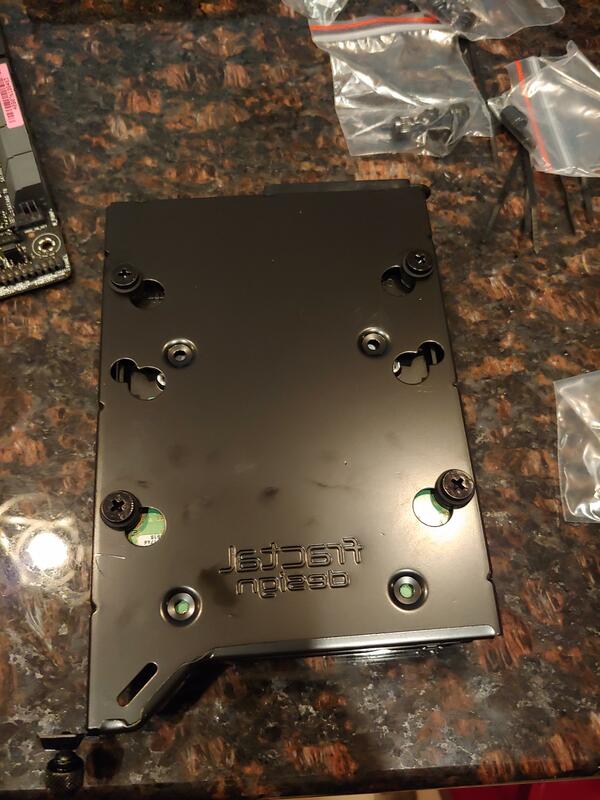 You can also see all the connectors for the Corsair H150i. 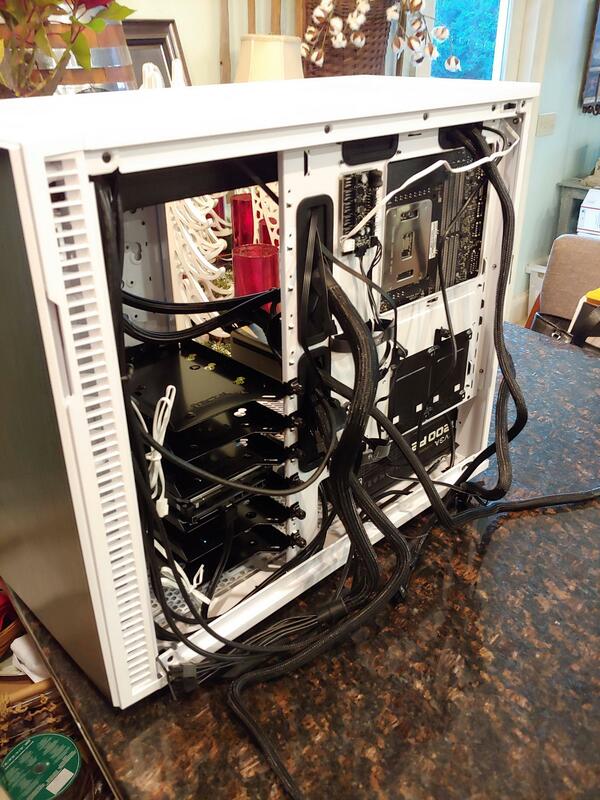 May I interest you in some wires? I cleaned these up and zipped them up after. 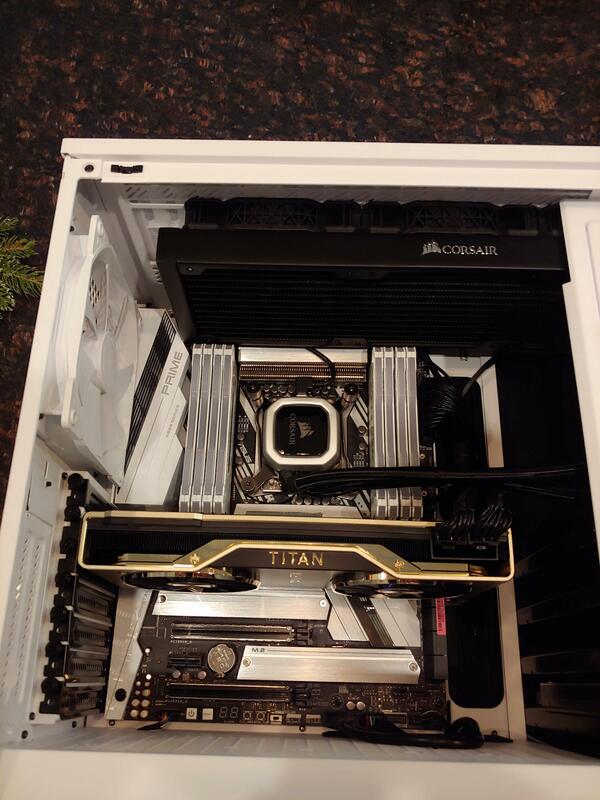 All buttoned up and looking pretty with that Titan RTX! 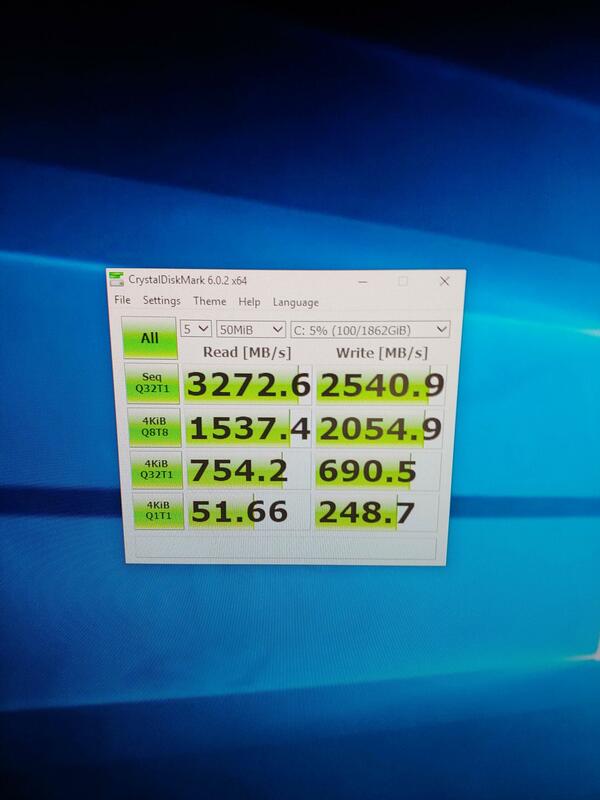 Here's a screencap of the RGBs running. I love all of them, both on the mobo and the RAM. 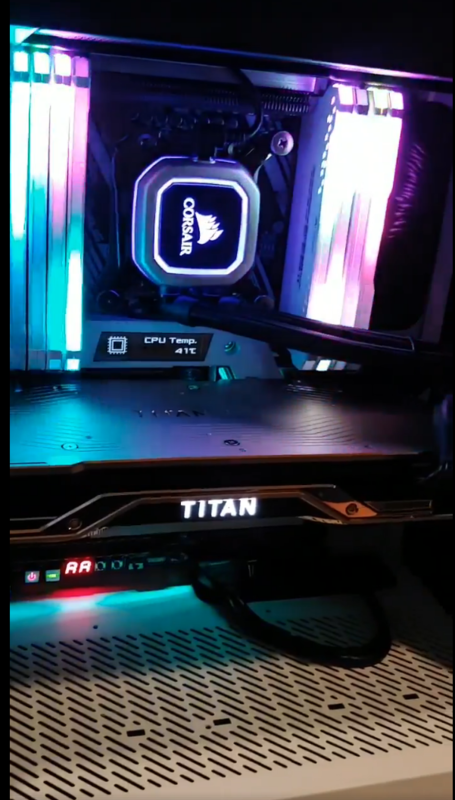 So that was about it for installation, I have some videos of the RGBs and stuff, but that's nothing new. 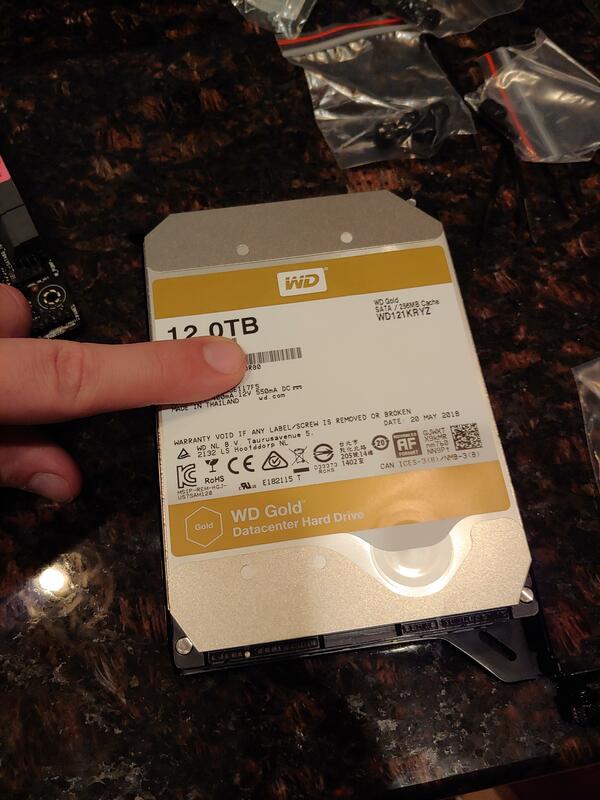 Here's a bit of 970 Evo vs WD Gold 12TB, hahaha. And instead of screencapping buttloads of benchmarks, I compiled all the scores in Notepad with barebones clocks and when I was done OC'ing and stable. Note: I had some much higher clocks that were semi-stable and would pass benches, but this is a production PC and I'm not going to send something semi-stable, so these scores are fully stable. Guess that sums it up! Last edited by TheJesus; 12-31-2018 at 02:01 PM.